Right off the bat, it is important to answer the most important question about the Easter holiday: When is Easter this year, anyhow? In 2019, Easter Sunday falls on April 21. The second most important question is how to best celebrate this holiday with the people you care most about. In our opinion, food brings out the best in all of usand is one of the easiest ways to bring everyone together at the same table for good conversation. When it comes to creating the perfect Easter feast for your family or friends, we highly recommend pulling out your Memphis Wood Fire Grill and letting it work its magic for a truly transformational experience. Preparing that feast can be joyous, but there is no question that it also includes a lot of work. Our wood fire grill can cut out much of the guesswork and difficulty, while also letting some of your favorite foods shine. Not sure what you’re going to cook this year? Or perhaps you’re seeking a favorite recipe from our stock? Take a gander at these to help you make this Easter your best ever! Follow this recipe for a buttery, delicious and perfectly done traditional Easter dish. For a cheesy alternative to this dish, try this recipe. You can also add a hint of smoky flavor if you like by poking holes in the foil before you bake the spuds on your Memphis grill. 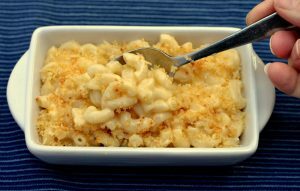 If you’ve been waiting to try out a mac & cheese recipe on your Memphis Grill, wait no longer. 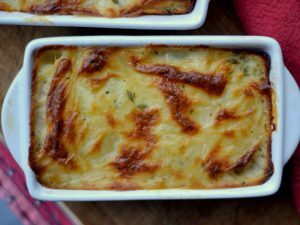 Easter is the perfect time to show off a smoked and baked version of this classic comfort food. This recipe puts other mac & cheese recipes to shame. Ham is probably the most common Easter entrée in the U.S. 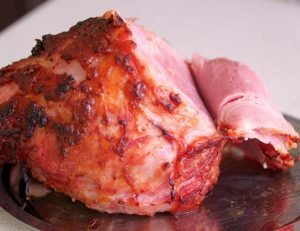 This tender-and-smokymasterpiece is a serious step up from an ordinary ham dinner. Memphis Wood Fire Grills make preparing this dish easier than you could imagine. We know you’ll be excited about the results when you serve this sweet, smoky delight. 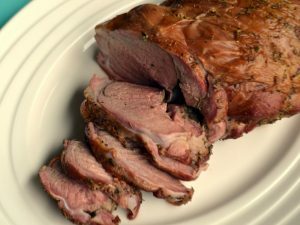 If you prefer lamb to ham for your Easter meal, this delicious recipe is sure to be a hit. It calls for higher temperatures to reach the perfect medium rare more quickly. With our Intelligent Temperature Control Meat Probe, you can be confident that your lamb is done to perfection. However you choose to celebrate this Easter, your Memphis Wood Fire Grill can help make it a culinary success. For more information about our grills, visit a Memphis dealer near you or contact us today.